This is Tim Watkins at his best I think….. I wish I had time to write well researched articles like this, but I have a flailing mower arriving today, the double glazed windows at the end of the month, and the front wall to build in preparation of this event. Never a dull moment around here. Put simply, if you cannot turn on your lights, operate your business or recharge your electric car, because there is no electricity, it is little comfort to learn that on a good day the grid is capable of supplying more electricity than you might need. What is really at issue here is that – to quote the late George H.W. Bush – “The American way of life is not up for negotiation.” That is, we can have any energy transformation we like, so long as it does not involve any limitation on our continued exploitation and consumption of the planet we live on. The too-big-too-fail banks must havepermanent economic growth and that, in turn, means that we have no choice other than to keep growing our energy consumption. Hat tip to my friend Shane who put me onto this TedX lecture……. well worth sharing with your ecotopian friends! It does show how Australia – and Canada – with very low population densities, are in not a bad position, except of course for the fact they are nowhere near the places with high densitity populations. You can’t beat arithmetics and physics……. How much land mass would renewables need to power a nation like the UK? An entire country’s worth. In this pragmatic talk, David MacKay tours the basic mathematics that show worrying limitations on our sustainable energy options and explains why we should pursue them anyway. (Filmed at TEDxWarwick.) Lesson by David MacKay. For a long time Germany’s attempt to grapple with atomic power, climate change and energy issues through its so called “Energiewende” (Energy Transformation) has been inspirational to many green activists and seen as a process to learn from. The priority given to “clean energy”, to wind and solar in its electrical grid, incentivised by feed in tariffs and favourable prices has taken wind and solar added together to 3.5 % of its energy supply and 16 % of its electrical power generation. However, there is a long way to go to 100% green energy. 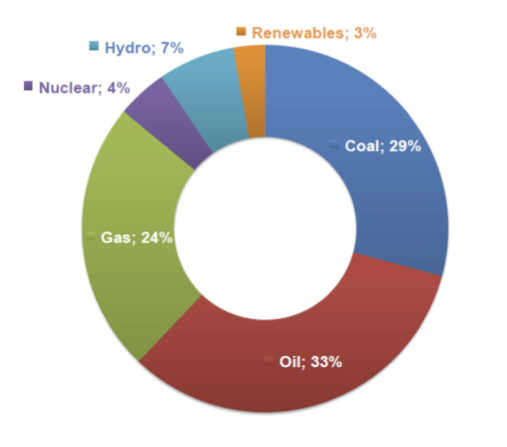 58% of power generation is still by fossil fuels and fossil fuels are still predominant in 78% of energy consumption that is not electrical, for example for transport fuels and non electrical space heating. No problem, just a matter of time? A lot of activists probably think this but sadly it is not likely to be true. 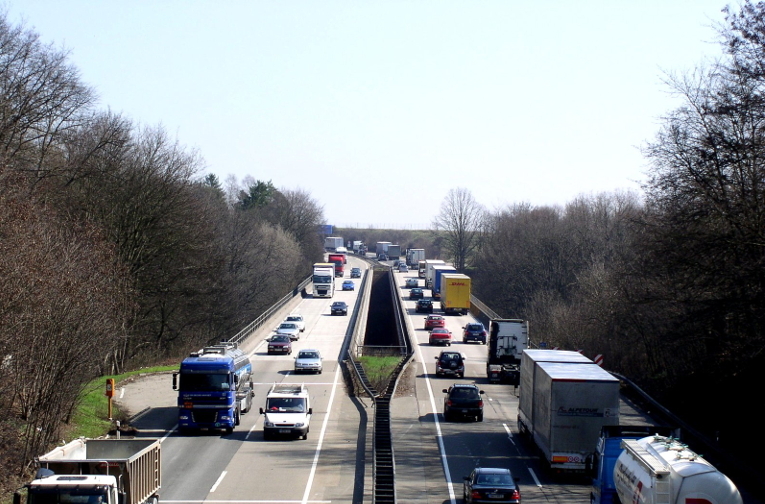 Yes, there are things to learn from Germany’s attempt to make an Energy Transformation. Unfortunately these things are that it will not be easy and it will probably not be possible at all without a considerable reduction in overall energy consumption and/or major new technological breakthroughs in energy storage. Such breakthroughs currently do not look very likely and/or would involve very high costs. Such costs would cripple the German economy in its current form. This anyway is the conclusion that I draw from a study by one of Germany’s leading economists, Hans Werner Sinn, that appeared in the European Economics Journal, in the summer of 2017. I was alerted to his article, published in English, by a weblink which connected to a lecture that Sinn gave at Munich University just before Xmas. The lecture, in German, contains much the same material as the article with one or two small differences. Before I go further I think it important to say that Sinn is not a climate denier. He acknowledges climate change as real and in need of addressing. It is important to be clear that the issue of whether climate change is real is completely independent from how easy or difficult or costly it will be to develop a renewable energy system. There are no guarantees that just because humanity has a serious problem there are easy and cheap engineering solutions. In any case Sinn does not address these issues – he is addressing the practicalities and limits of the Energiewende. 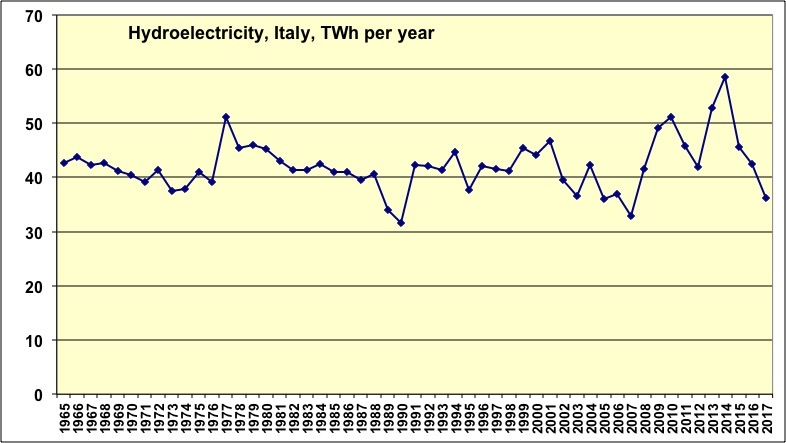 Whether in German or English the data he presents is bad news because it is about the difficulty of storing electricity for the German economy at its current scale of energy and electricity use – and storing energy is going to be necessary to further expand renewable generation without having fossil fuel based generation to back it up. This is because under current conditions the coal and gas generators in Germany are necessary complements to balance the volatility of wind and solar and the variable nature of electricity demand. When the wind is not blowing and the sun not shining – the coal and/or gas generation must step in to provide the power. Or perhaps there is wind and solar power but not enough as the demand for power rises. It is the fossil fuel generators that must step in and provide the buffer between them and if fossil fuel generated electricity is going to be driven out then some other means must be found to buffer between fluctuating supply and demand. There is a missing technology needed to make this possible – electrical storage. What gives Sinn’s article and lecture credibility is that they are based on real world intermittent data for wind and solar power generation in Germany in 2014 as well as data from an EU research project called ESTORAGE. ESTORAGE set out to find Western Europe’s potential for pumped hydro power – by finding all the locations where it could conceivably be developed along with how much electricity could be stored altogether. The use of real world data from Germany in 2014 completes the picture because it enables Sinn to show how much storage is needed over a year to balance the grid at different levels of penetration by renewables. This volume is then compared to what is available in potential pumped hydro sites. Pumped hydro is a way of storing electric power by using surplus electricity to pump water uphill into a storage lake, that can then be released through turbines downhill later, when electric power is wanted. Its significance is that it is by far the cheapest and easiest way of storing electric power on a grid scale. The findings of the ESTORAGE project therefore enables Sinn to explore if there is enough pumped storage capacity in Germany, in Germany and Norway and in an energy union between Germany, Norway, Denmark, Austria and Switzerland. The figures are sobering – firstly there is no way that Germany has enough undeveloped new sites where it could develop sufficient pumped hydro storage on its own territory to balance its grid without fossil fuel generation doing buffering. The furthest it can get in the direction of an entirely green electricity supply is 49% of power generation by renewables, if it is in an alliance with 4 other countries which have the best pumped storage options – assuming they are prepared to develop these options. Sinn does consider other storage methods in his lecture but considers them too expensive and impractical for storing electric power – for example lithium ion batteries are practical up to a point for powering electrical cars but it would require the batteries of 524 million BMW electric vehicles to balance the German grid and the cost of storing a kilo watt hour in a lithium battery is 50 times the cost of storing a kilo watt hour using pumped hydro. Sinn also considers storing energy by using surplus electricity to generate hydrogen or methane but again considers them too expensive particularly because of the “round trip” power conversion losses from power to methane and back to power (only a quarter of the power left) and with hydrogen only a half of the power left. (Added to which hydrogen is a very corrosive stuff to work with.) This is a thermodynamic problem first studied by Carnot for which there is no pat solution. There is also the option of shifting demand. The problem with wind and solar is that what is generated must be made to match what is demanded – but can this done by shifting demand around so that, for example, the washing machine is switched on when the wind is blowing? To explore the magnitude of what is possible Sinn again uses real world data. He calculates how much buffering storage could be reduced by shifting demand around during the course of each day. He also calculates how much storage could be reduced by shifting demand during the course of a week and shifting demand during each month. His results are disappointing. Shifting demand during a month it is only possible to reduce the need for energy storage by 11%. This is because energy storage is mostly needed between seasons and the amount of storage required would be astronomically expensive to achieve without pumped hydro. Switching the washing machine on when the wind is blowing is one thing – you cannot wait till summer to switch a heater on in winter when there is no wind and it’s the middle of a cold night. There are in fact three ways of balancing a grid rendered unstable by intermittent renewables. One is a double structure where fossil fuel generation balances the grid but we want to go beyond that. Another is storage which we have seen is expensive with not enough options – but what about just continuing to expand wind and solar capacity – more installations at each place and over a wider area. This is the strategy of “over extension”. If its not windy or sunny everywhere it will be somewhere so one just has to have enough kit there to capture enough of the wind and/or the sun. In fact Sinn considers this option too. He has a “thought experiment” in which a greater and greater percentage of the German grid is supplied by renewables and a smaller and smaller % of electricity is balanced by fossil fuel generation. 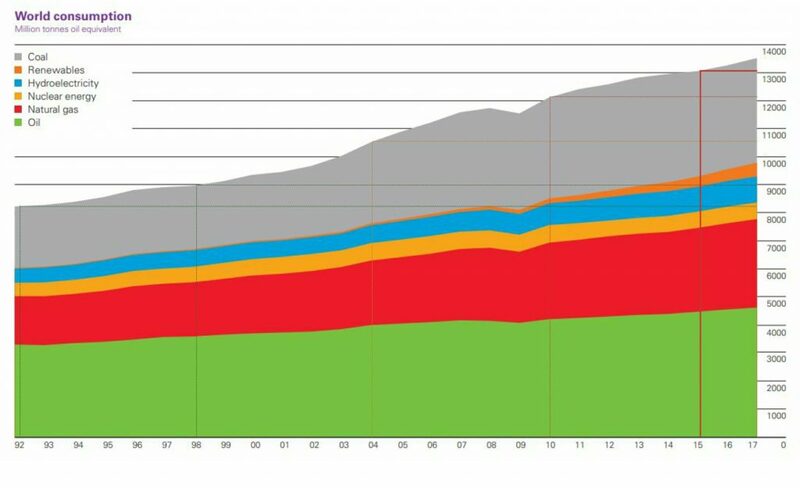 At 89% wind and solar generation the German grid would in fact be 100% green energy since 11% would be electricity from hydro power and through burning biomass. (He ignores those who question whether biomass is really “renewable”). But at this point of 89% wind and solar the average efficiency of wind and solar generation would be 39% and the marginal efficiency would be 6%. Put in another way 61% of all electricity would on average have to be dumped or curtailed because there would be too much power for the demand. To say the marginal efficiency is 6% means that to extend renewable energy by 1% of the overall capacity at this point you would need to dump or curtail 94% of the extra generated electricity. I hope this is clear – you can extend wind and solar more and more but in order to have power all the time, including those times when there is not a lot you need to develop a capacity that, in the face of intermittent wind and solar, is most of the time oversupplying. Any way you look at it you have a lot of cost. Now to my own comments. 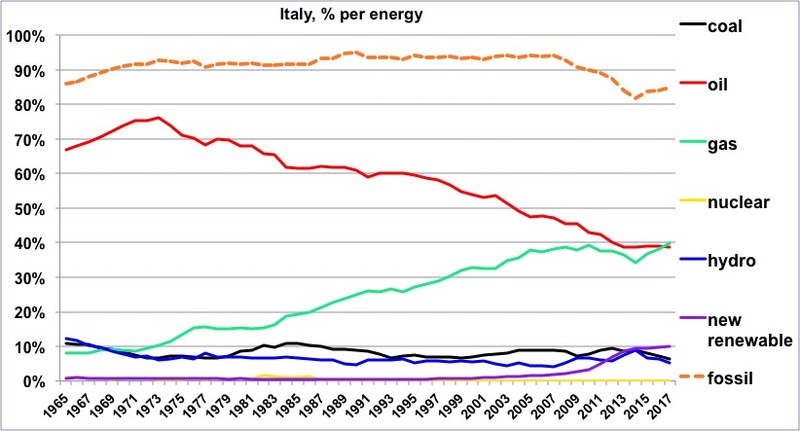 What Sinn does not explore is if the German energy demand were only half its current size or even smaller. His figures suggests that renewables can maximally supply a balanced grid for only half the current power supply in the 5 country association. But what if only half the energy were needed? 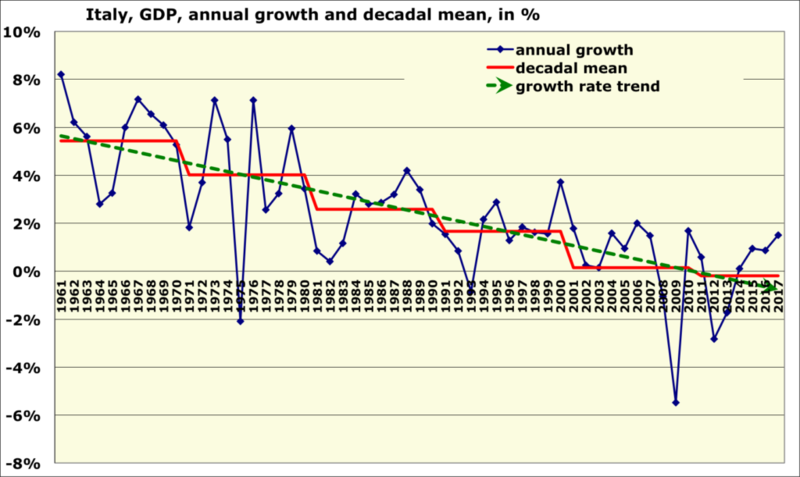 I do not think that Hans Werner Sinn is an exponent of degrowth…far from it….but that is what we should be looking at. “In principle, public service delivery could bring economies of scale and thus reduce the energy involved in providing many household services: public transport, public bathing houses, community kitchens, laundrettes, libraries, internet cafés, public telephone boxes, and home delivery services are just some examples. Combining sufficiency with efficiency measures, German researchers calculated that the typical electricity use of a two-person household could be lowered by 75%, without reverting to drastic lifestyle changes such as washing clothes by hand or generating power with exercise machines. Although this only concerns a part of total energy demand, reducing electricity use in the household also leads to reductions in energy use for manufacturing and transportation. Suddenly we are back in the realms of practicality IF, that is, it is politically practical to adopt a sufficiency agenda – but perhaps that is what will have to happen anyway as the decline of the oil and gas industry accelerates. In conclusion. 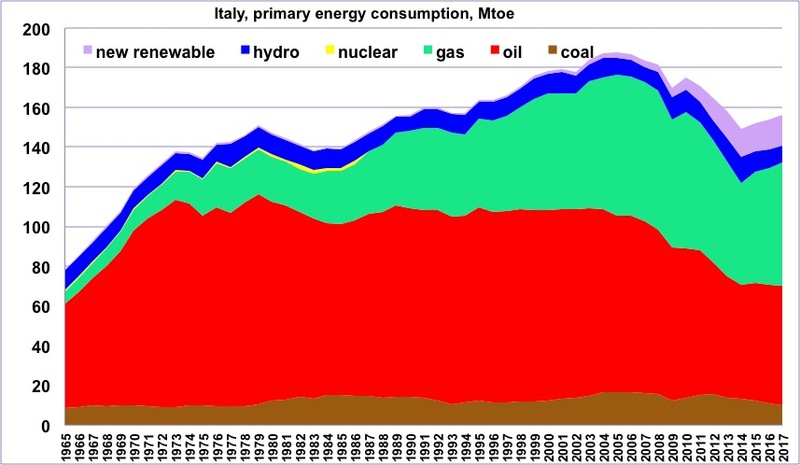 It looks very as much as if before “over developed” countries like Germany can hope to develop an all-renewables power system, let alone an all-renewables based energy system including non-electric energy uses, it will have to dramatically reduce its power consumption. Even though studies based on energy sufficiency show that most people could probably live a comfortable enough life the changes in economic organisation and thinking would or will have to be massive for that to happen. I therefore doubt that this is going to happen as a result of well-meaning policy intiatives any time soon. The inertia will in all probability be too great. That said countries like Germany are not just under pressure to change their energy system because of climate change – Germany and other countries too must respond to the global trend to depletion of fossil energy sources and the rising cost of extracting them. While it is true that renewable energy together with energy storage would be expensive if attempted above a limited scale, it will be expensive in the future to extract fossil fuels too. As we reach the limits to growth we are probably looking at economic contraction anyway- and no doubt a good deal of political turmoil because politicians and the German (and world) public will be disorientated and not really understand that is happening. There is an irony here. 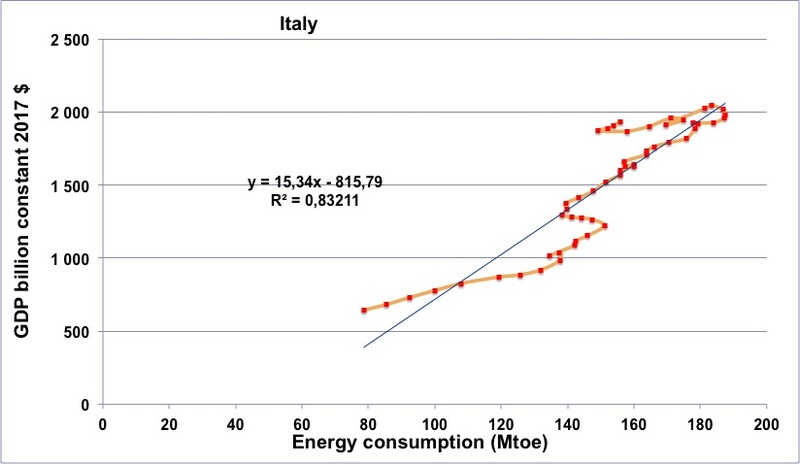 The best chance of developing grids adapted to renewables will probably be in countries where electricity demand and energy use is currently very low and where it can develop “organically” without having first to go backwards in a retreat from “overdevelopment” before it can again “go forward” in conditions of much depleted resource availability. If humanity survives the next few decades of turmoil – and it is a big IF given the collective psychosis likely in heavily armed countries thrown into economic contraction – IF… then the best chance for technologies to evolve into 100% renewables-based systems are in what are today regarded as poor countries. Then the last would be first and the first last. That at least is something to hope for. Reblogged from The unpublished notebooks of J. M. Korhonen……. My Finnish readers will already know that I announced some time ago that I’m done with energy/climate change discussions. I’ve been following the debate actively since about 2007 and have been writing about it since late 2010. I’ve written two books about the topic, one of which is translated into five languages, and blogged fairly regularly. But now it’s time to do something else. The main reason why I’m refocusing is because I think the debate is going nowhere, and I don’t want to waste my time on a futile project. We are not going to get a decarbonized energy system by 2050. [I disagree here……. there won’t be an economy that continues burning FFs by then… DTM] We are going to fail the climate targets, probably by a large margin, and I suspect that a warming of about 3 degrees centigrade is going to be almost inevitable. It’s perfectly possible that self-amplifying feedback mechanisms under way will amplify this change even more. What this will mean for humans is difficult to assess, but I doubt it’s going to be anything good for the vast majority. The global poor will suffer the most, while we here in the rich North may be able – at least in the short term – to insulate ourselves from the worst effects and retreat to our own virtual bubbles to avoid hearing the cries of the others. The reason why we’re going to fail is because we’re lulled into optimistic complacency. An occasional follower of the energy and climate news will inevitably conclude that climate change is as good as solved: page after page gushes about the relentless, inevitable progress of renewables and the just about imminent downfall of fossil fuel behemoths. The reality, of course, is quite different from these uncritical pronouncements. Despite the very real advances of low-carbon energy sources in the recent decades, fossil fuels are still – relatively speaking – just as dominant as they were in 1980s. Since the global energy use has increased from those days, the problem of replacing practically all fossil fuel and most of the biomass use by 2050 (which would be required to stay at accepted climate targets) is hideously difficult. However, nothing about this urgency is communicated to the broader audience. In general, people want to hear happy stories that fit their preconceptions; and the looming Ultimate Victory of renewable energy fits perfectly to the preconceptions of almost all environmentalists (who are also the only ones really concerned about climate change). The people want to hear that the new energy messiah will deliver us from evil; and scores of people around the world deliver. Very vocal groups argue that accomplishing 100% renewable energy system by 2050 is going to be easy and cheap; I can’t but keep on thinking how long it will take for the optimist groups to begin asserting that THEIR plan can do it by 2049 while giving everyone a pony as well. Because we’ve been here before. In the 1960s nuclear energy was supposed to be THE energy source for the 2000s. Oil drilling was supposed to become unprofitable by the turn of the millennium, and the only real question was exactly how many nuclear power plants we’d ultimately end up building. The gushing, completely uncritical rhetoric that totally ignored any and all concerns about technical, economic and political issues inherent in such grand, technocratic schemes is almost word for word identical to the rhetoric employed today in 100% RE circles, as I’ve documented in several essays (e.g. here, here, here and here). I and many others have tried to point out that there are still unsolved issues and potential pitfalls between the rhetoric and the ultimate, total victory of renewable energy. I at least have done this because I’d like to see renewable energy prosper: most if not all of us really are concerned about issues such as RE growth curve being logistic, integration costs, hidden environmental issues and local resistance to massive projects such as wind parks and power lines. We think that these issues have been downplayed or ignored entirely in the optimistic discussion, and that in order for renewable energy industry to avoid making the mistakes the nuclear industry made in the 1970s and 1980s, these issues would need to be addressed – soon. And, yes, we’ve been saying that a prudent climate mitigation strategy should include nuclear power as well, at least for as long as it is ACTUALLY DEMONSTRATED IN PRACTICE – not just in theoretical modeling – that major nations can get most of their energy from renewable sources alone. All this has been to no avail. Realism never makes for a good copy, as long as there are people who make a living from selling a dream instead. No matter what we do, critical discussion of problems that are likely to crop up when renewable energy use increases has been confined to the blogs and discussions between a small group of like-minded people. Perhaps this shouldn’t have been surprising: after all, this is exactly what happened with nuclear energy as well. Critics of the nuclear dream were ignored, downplayed and vilified – until at some point, with enough experience, the actual technical, economic and political challenges became too large to ignore. The fact that James Hansen, probably the most prominent climate researcher ever, is one of those critics (as are many other climate researchers around the world) makes no difference to these accusations. I’ve been involved in environmental issues for a very long time now. I was a founding partner of the first eco-design consultancy in Finland in 2007, and I’m one of the founding members of the most recent environmental organization in Finland – the Finnish ecomodernist society. I’ve made major life choices to reduce my personal environmental impact, and have lectured for nearly a decade on how to design products that are less bad for the environment. (I always tell my students that if they want real change, they need to be more active politically – that designing “greener” products is good but a bit like rearranging deck chairs on board the Titanic.) I’m going to continue doing so, and I’m going to continue to advocate for climate change mitigation and clean energy in my own circles if the topic crops up. I may also comment every now and then if I feel like it, but I’m not going to follow the debate closely any longer. But, since I’m so concerned about climate change that I favor keeping the options open until very high penetration of renewable energy is demonstrated in practice, I’m not welcome to the climate or environmental community, where opposition to nuclear power is a foundational precept of their beliefs and takes priority over practically all other considerations. I have no doubt that if, and probably when, the current wonder energy stalls in a manner very reminiscent of the stall of the nuclear power in the 1980s, I will be one of those people who are going to be blamed for the outcome. The explanation (that is already being practiced as renewable expansion is encountering the first signs of real trouble) will be that naysayers and the fossil fuel industry were in cahoots to stop the perfect energy source of the future. After all, this is the explanation the most ardent supporters of nuclear power have concocted: since they’ve convinced themselves that the technology was already very nearly perfect, the only possible reason for its demise has to be a conspiracy of critics and fossil fuel interests. This attitude where the echo chambers of the faithful convince the participants to simply ignore the very real limitations of renewable energy, and the complacent optimism bred into the broader public by absolutely uncritical coverage of renewable energy claims and the renewable energy industry (which, by the way, is vastly larger, more profitable and more powerful than “big bad” nuclear industry), are the prime reasons we’re going to fail. We’d need much more effort to climate mitigation, but how on Earth can we persuade the people to vote for more effort and more hardships, when every environmental organization shouts out loud that the victory of renewable energy is just around the corner? Perhaps we’d be losing even if this wasn’t the case. Fossil fuel interests and the logic of current capitalism are so powerful and they have such a grip on the world’s economy (and hence politics) that this may have been a losing battle regardless. Nevertheless, these divisions within the environmental movement critically diminish our influence just when we all ought to be advocating for more clean energy – not less, as many “green” organizations are de facto doing. We ought to fight and defeat the Great Enemy first, and then – only then – resume the old fight between nuclear and renewables. But that’s not going to happen. Some blame for this lies within nuclear advocates, also – too many are nothing more than mirror images of the individuals and organizations they claim are anti-science or unwilling to change their outdated thinking. That said, it is only from the ranks of the 100% RE advocates where I keep on hearing that we should exclude some potential solutions just on principle; there is nothing close to similar attitude within pro-nuclear environmentalist circles, few zealots excepted. Yet nothing changes; we’ve had all these discussions at least a decade ago, and if my stash of old books is any indication, since the 1970s at least. Feel free to continue with this fruitless debate if you want; I’m going to direct my energy elsewhere. Environmentalists didn’t kill the nuclear power industry, economics did. One of Nicole Foss’ standout statements for me when I last saw her speak all those years ago now, was that an economic collapse can and will occur much fater than the other crises humanity is facing, like peak oil and climate change….. and I see signs of economic collapse every day now; not least this one. Our friend Eclipse Now will probably blow his top and would probably post his usual rubbish here, but I saw the sense of Alice Friedemann’s blocking him from her site, I have done the same now too. After all, how can you take seriously anyone who believes in terra forming Mars and even giving that planet a flag…..? An interesting article turned up on my feed today. South Carolina Electric and Gas Co. and partner Santee Cooper abandoned work on two new nuclear reactors this week, not because of public protests, but because the only way to pay for them was to overcharge customers or bankrupt both companies. The decision comes after the main contractor, Westinghouse, has completed a third of the work at the V.C. Sumner Nuclear Station. Of course, the project has already bankrupted Westinghouse due to missed deadlines and costs spiraling out of control. Westinghouse parent Toshiba Corp. had to pay $2.7 billion to get out of its contract. Electricité de France too is in trouble. EDF could be heading towards bankruptcy, as it faces the perfect storm of under-estimated costs for decommissioning and waste disposal. Hinkley C power station (in Somerset, England) has just bumped up £1.5bn, and its completion date slipped 15 months.. Meanwhile income from power sales is lagging behind costs, and 17 of EDF’s reactors are off-line for safety tests. 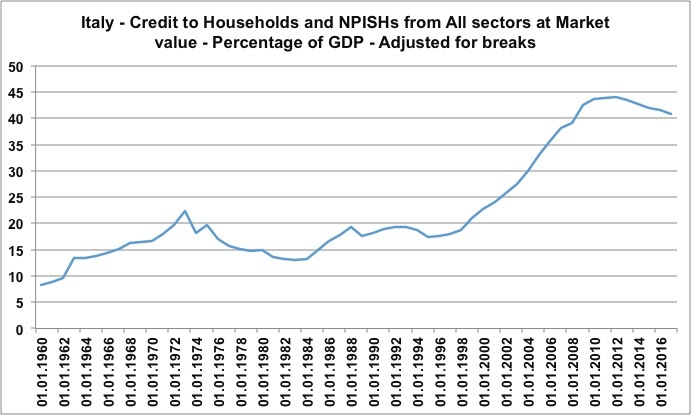 Yet French and UK governments are turning a blind eye to the looming financial crisis. What the nuclear industry really needs is the new technology Eclipse is always banging on about. Scientists are working on these smaller reactors that are less dangerous, but none of them are ready for commercial deployment….. starting to sound like fusion. There could be a future for nuclear power in the United States, but only if the technology can compete on cost with renewable sources and natural gas. That is the real challenge for the nuclear power industry. In any case, I firmly believe that the cost of decommissioning the 400 odd reactors that are now well beyond their use by date will finish off the industry before anything worthwhile happens on this front. The energy cliff is still on its way. Since publishing this, Alice Fridemann pointed out she has written this article on her own website……. [ Since this article was published in 2013, 10 of the 37 at risk plants Cooper listed have been or are scheduled to close down (in red) : Diablo Canyon, Clinton, Fitzpatrick, Ft. Calhoun, Indian Point, Oyster Creek, Pilgrim, Quad Cities, Three Mile Island, Vermont Yankee. Plus four plants he didn’t list are scheduled to shut down as well: San Onofre 2 & San Onofre 3, Diablo Canyon 1 & Diablo Canyon 2. In addition, not long before this article was written, Kewaunee (2012) and Crystal River (2009) closed for financial reasons. After spending $9 billion dollars on the two reactors of the Virgil C. Summer Nuclear Generating Station, with only 40% completion, and expected final price tag of $25 billion, it was shut down in 2017 (Plumer). The only new nuclear plant being built in the U.S. now is in Georgia. Cooper leaves out the cost of nuclear waste storage, which makes the economics of nuclear plants even worse than in the article below (see his testimony before the Nuclear Regulatory Commission). One of the costs Cooper mentions are Post-Fukushima updates. Five years after the accident at Fukushima in Japan resulted in three reactor meltdowns, the global nuclear industry is spending $47 billion on safety enhancements mandated after the accident revealed weaknesses in plant protection from earthquakes and flooding. The median cost per nuclear power reactor is $46.7 million (Platts). “New reactors at Georgia Power’s Vogtle plant were initially estimated to cost $14 billion to build; the latest estimate is $21 billion. The first reactors at the plant, in the 1970s, took a decade longer to build than planned, and cost 10 times more than expected. In France, a new plant is running around six years behind scheduled and likely to cost around $8 billion more than planned. Even keeping old reactors running may not make financial sense. In California, for example, extending the life of the Diablo Canyon plant will require new cooling towers that cost around $8 billion. It may also need billions in earthquake retrofits, because engineers realized after the project was built that it’s on a fault line” (Peters). 2016 update: this is one of the reasons they’re going to be shut down. The Oilocene, if that term ever catches on, will have only lasted 150 years. Which must be the quickest blink in terms of geological eras…… This article was lifted from feasta.org but unfortunately I can’t give writing credits as I could not find the author’s name anywhere. The data showing we’ll be quickly out of viable oil is stacking up at an increasing rate. Steven Kopits from Douglas-Westwood (whose work I published here three years ago almost to the day) said the productivity of new capital spending has fallen by a factor of five since 2000. 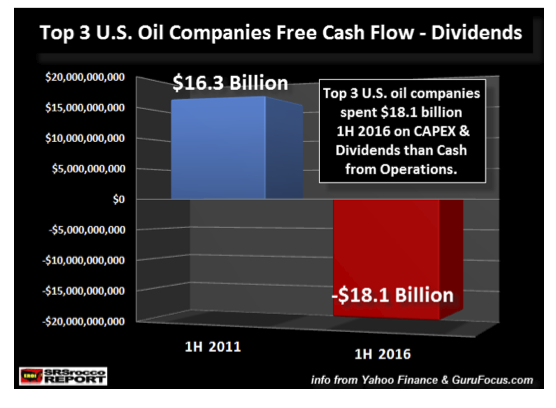 “The vast majority of public oil and gas companies require oil prices of over $100 to achieve positive free cash flow under current capex and dividend programs. Nearly half of the industry needs more than $120,” he said”. What people do not realise is that it takes oil to extract, refine, produce and deliver oil to the end user. The Hills Group calculates that in 2012, the average energy required by the oil production chain had risen so much that it was then equal to the energy contained in the oil delivered to the economy. In other words “In 2012 the oil industry production chain in total used 50% of all the energy contained in the oil delivered to the consumer”. This is trending rapidly to reach 100% early in the next decade. So there you go…… as I posted earlier this year, do we have five years left…….? End of the “Oilocene”: The Demise of the Global Oil Industry and of the Global Economic System as we know it. In 1981 I was sitting on an eroded barren hillside in India, where less than 100 years previously there had been dense forest with tigers. It was now effectively a desert and I was watching villagers scavenging for twigs for fuelwood and pondering their future, thinking about rapidly increasing human population and equally rapid degradation of the global environment. I had recently devoured a copy of The Limits to Growth (LTG) published in 1972, and here it was playing out in front of me. Their Business as Usual (BAU) scenario showed that global economic growth would be over between 2010 -2020; and today 45 years later, that prediction is inexorably becoming true. Since 2008 any semblance of growth has been fuelled by astronomically greater quantities of debt; and all other indicators of overshoot are flashing red. One of the main factors limiting growth was regarded by the authors of LTG as energy; specifically oil. By mid 1970’s surprisingly, enough was known about accessible oil reserves that not a huge amount has since been added to what is known as reserves of conventional oil. Conventional oil is (or was) the high quality, high net energy, low water content, easy to get stuff. Its multi-decade increasing rate in production came to an end around 2005 (as predicted many years earlier by Campbell and Laherre in 1998). 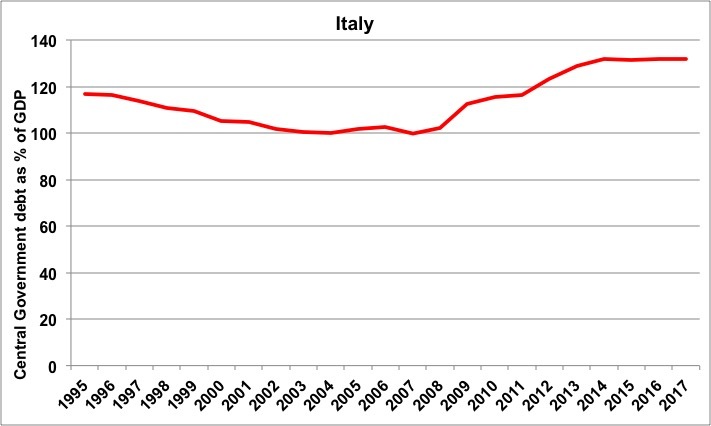 The rate of production peaked in 2011 and has since been in decline (IEA 2016). The International Energy Agency (IEA) is the pre-eminent global forecaster of oil production and demand. 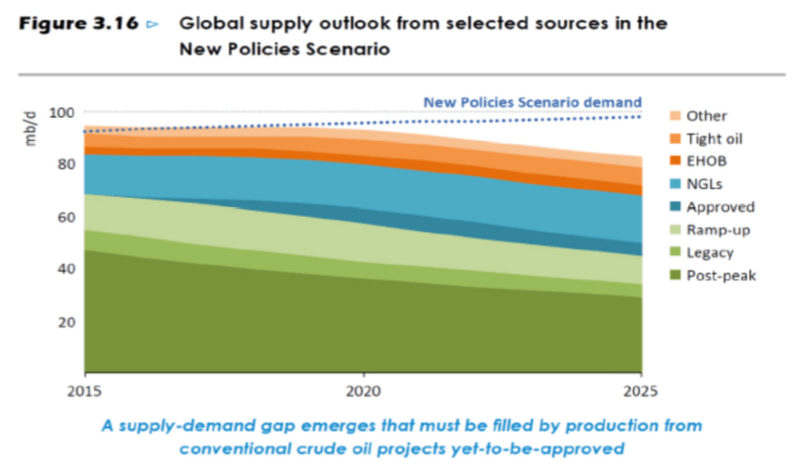 Recently it admitted that its oil production forecasts were based on economic projections rather than geology or cost; ie on the assumption that supply will always meet projected demand. In its latest annual forecast however (New Policies Scenario 2016) the IEA has also admitted for the first time a future in which total global “all liquids” oil production could start to fall within the next few years. 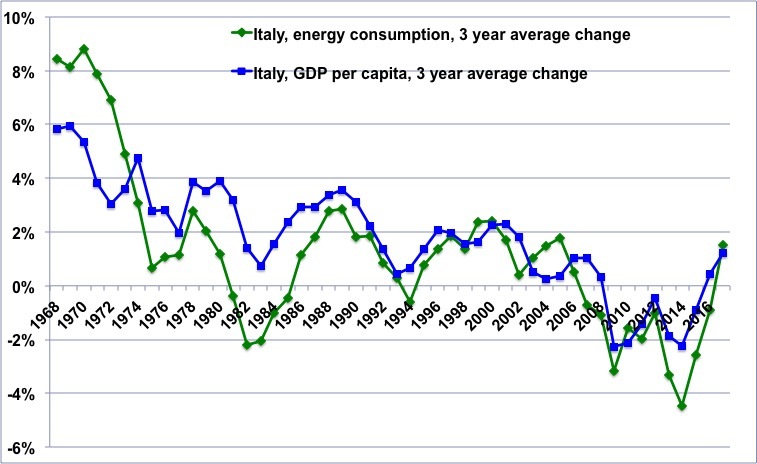 As Kjell Aklett of Upsala University Global Energy Research Group comments (06-12-16), “In figure 3.16 the IEA shows for the first time what will happen if its unrealistic wishful thinking does not become reality during the next 10 years. 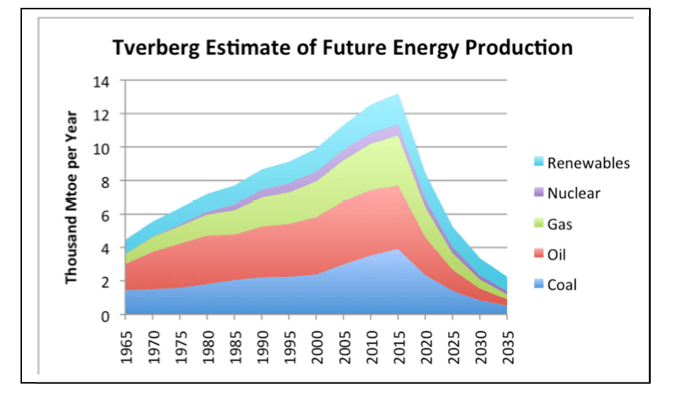 Peak Oil will occur even if oil from fracked tight sources, oil sands, and other (unconventional) sources are included”. In fact – this IEA image clearly shows that the total global rate of production of “all hydrocarbon liquids” could start falling anytime from now on; and this should in itself raise a huge red flag for the Irish Government. Furthermore, it raises a number of vital questions which are the core subject of this post. 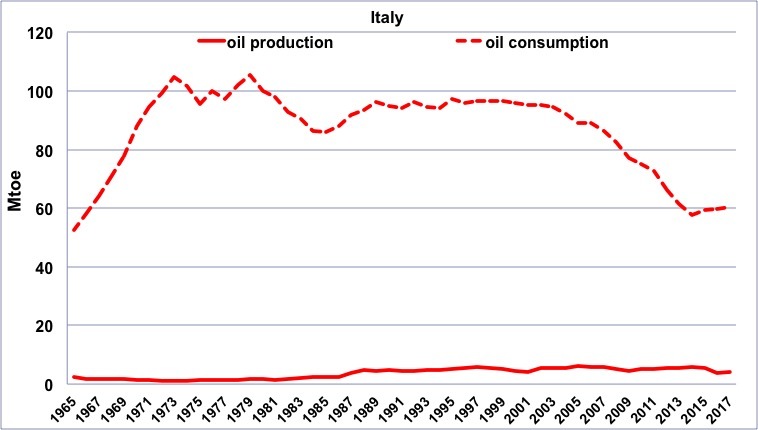 Reserves of conventional “easy” oil have mostly been used up. How likely is it that remaining reserves will be produced at the rate projected? Rapidly diminishing reserves of conventional oil are now increasingly being supplemented by the difficult stuff that Kjell Aklett mentions; including conventional from deep water, polar and other inaccessible regions, very heavy bituminous and high sulphur oil; natural gas liquids and other xtl’s, plus other “unconventional oil” including tar sands and shale oil. How much will it cost to produce all these various types? How much energy will be required, and crucially how much energy will be left over for use by the economy? The global industrial economy runs on oil. Oil is the vital and crucial link in virtually every production chain in the global industrial world economy partly because it supplies over 96% of global transport energy – with no significant non-oil dependent alternative in sight. Our industrial food production system uses over 10 calories of oil energy to plough, plant, fertilise, harvest, transport, refine, package, store/refrigerate, and deliver 1 calorie of food to the consumer; and imagine trying to build infrastructure; roads, schools, hospitals, industrial facilities, cities, railways, airports without oil, let alone maintain them. 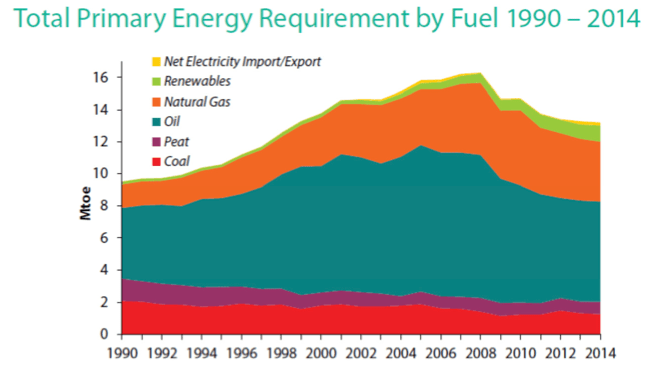 Surprisingly perhaps, oil is also crucial to production of all other forms of energy including renewables. 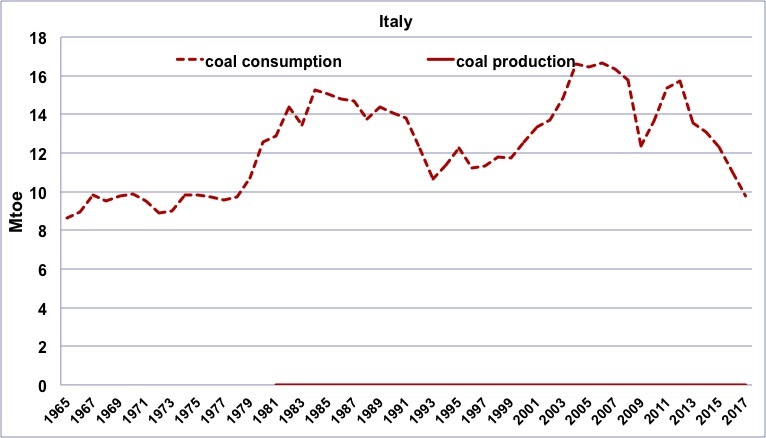 We cannot mine and distribute coal or even drill for gas and install pipelines and gas distribution networks without lots of oil; and you certainly cannot make a nuclear power station or build a hydroelectric dam without oil. But even solar panels, wind and biomass energy are also totally dependent on oil to extract and produce the raw materials; oil is directly or indirectly used in their manufacture (steel, glass, copper, fibreglass/GRP, concrete) and finally to distribute the product to the end user, and install and maintain it. So it’s not surprising that excluding hydro and nuclear (which mostly require phenomenal amounts of oil to implement), renewables still only constitute about 3% of world energy (BP Energy Outlook 2016). This figure speaks entirely for itself. I am a renewable energy consultant and promoter, but I am also a realist; in practice the world runs on oil. The economy, Global GDP and oil are therefore mutually dependent and have enjoyed a tightly linked dance over the decades as shown in the following images. Note the connection between oil, total energy, oil price and GDP (clues for later). Since 2005 when the rate of production of conventional oil slowed and peaked, production costs have been rising more rapidly. By 2013, oil industry costs were approaching the level of the global oil price which was more than $100/barrel at that time; and industry insiders were saying that the oil industry was finding it difficult to break even. A good example of the time was the following article which is worth quoting in full in the light of the price of oil at the time (~$100/bbl), and the average 2016 sustained low oil price of ~$50/bbl. “The world’s leading oil and gas companies are taking on debt and selling assets on an unprecedented scale to cover a shortfall in cash, calling into question the long-term viability of large parts of the industry. The US Energy Information Administration (EIA) said a review of 127 companies across the globe found that they had increased net debt by $106bn in the year to March, in order to cover the surging costs of machinery and exploration, while still paying generous dividends at the same time. They also sold off a net $73bn of assets. The EIA said the shortfall between cash earnings from operations and expenditure — mostly CAPEX and dividends — has widened from $18bn in 2010 to $110bn during the past three years. Companies appear to have been borrowing heavily both to keep dividends steady and to buy back their own shares, spending an average of $39bn on repurchases since 2011”. “The major companies are struggling to find viable reserves, forcing them to take on ever more leverage to explore in marginal basins, often gambling that much higher prices in the future will come to the rescue. 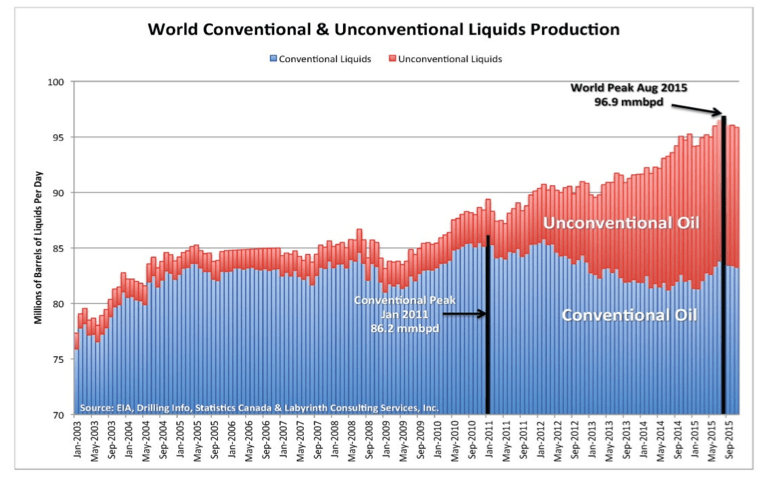 Global output of conventional oil peaked in 2005 despite huge investment. The cumulative blitz on exploration and production over the past six years has been $5.4 trillion, yet little has come of it. Not a single large project has come on stream at a break-even cost below $80 a barrel for almost three years. Steven Kopits from Douglas-Westwood said the productivity of new capital spending has fallen by a factor of five since 2000. “The vast majority of public oil and gas companies require oil prices of over $100 to achieve positive free cash flow under current capex and dividend programmes. Nearly half of the industry needs more than $120,” he said”. 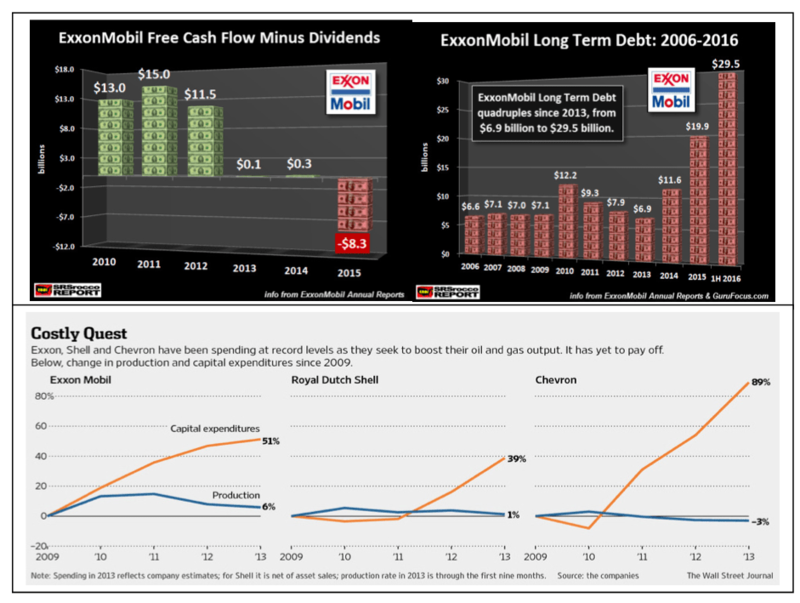 The following images give a good idea of the trend and breakdown in costs of oil production. Getting it out of the ground is just for starters. The images show just how expensive it is becoming to produce – and how far from breakeven the current oil price is. 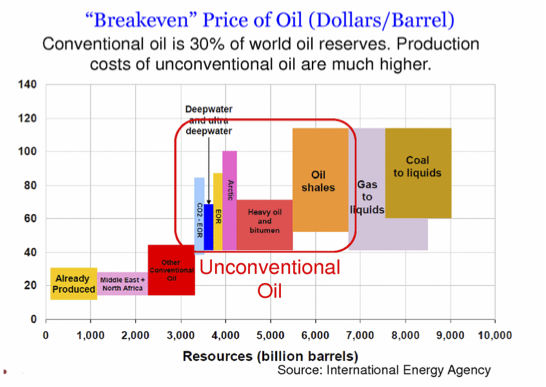 It is important to note that the “breakeven cost” is much less than the oil price required to sustain the industry into the future (business as usual). The following images show that the many different types of oil have (obviously) vastly different production costs. Note the relatively small proportion of conventional reserves (much of it already used), and the substantially higher production cost of all other types of oil. Note also the apt title and date of the Deutsche Bank analysis – production costs have risen substantially since then. You do not need to be an economist to see that the average 2016 price of oil ~ $50/bbl was substantially lower than just the breakeven price of all but a small proportion of global oil reserves. Even before the oil price collapse of 2014-5, the global oil industry was in deep trouble. 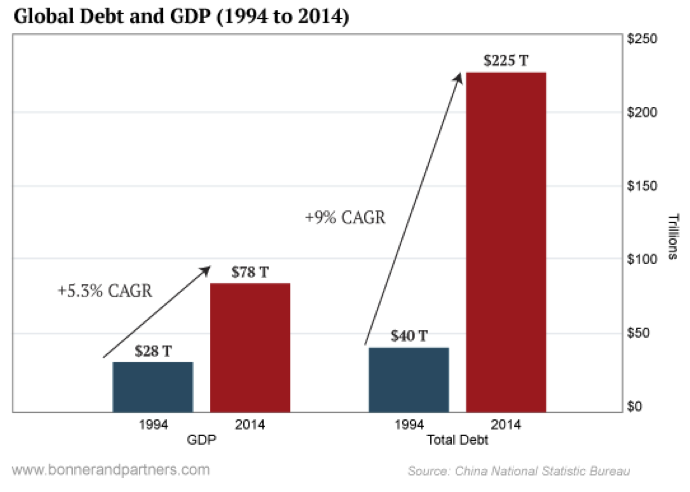 Debts are rising quickly, and balance sheets are increasingly RED. Earlier this year 2016, Deloitte warned that 35% of oil majors were in danger of bankruptcy, with another 30% to follow in 2017. In addition to the oil majors, shrinking oil revenues in oil-producing countries are playing havoc with national economies. Virtually every oil producing country in the world requires a much higher oil price to balance its budget – some of them vastly so (eg Venezuela). Their economies have been designed around oil, which for many of them is their largest source of income. Even Saudi Arabia, the biggest global oil producer with the biggest conventional oil reserves is quickly using up its sovereign wealth fund. 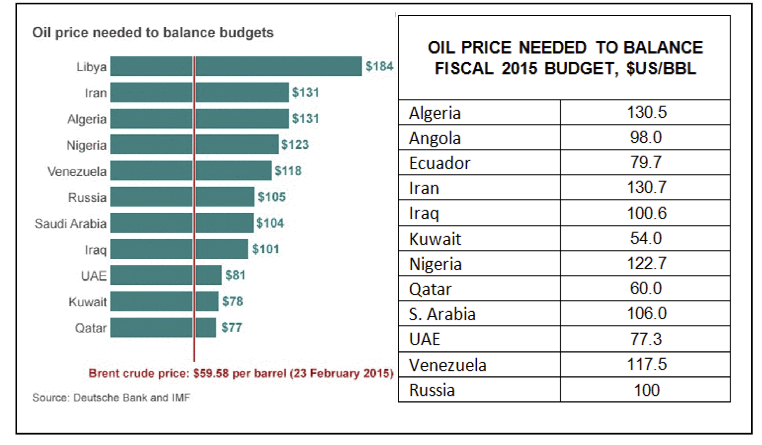 It appears that not a single significant oil-producing country is balancing its budget. Their debts and deficits grow bigger by the day. Everyone is praying for higher oil prices. Who are they kidding? The average BAU oil price going forward for business as usual for the whole global oil industry probably needs to be well over $100/bbl; and the world economy is on its knees even at the present low oil price. Why is this? The indicators all spell huge trouble ahead. Could there be another fundamental oil/energy/financial mechanism operating here? The cause is not surprising. All the various new types of oil and a good deal of the conventional stuff that remains require far more energy to produce. In 2015, The Hills Group (US Oil Engineers) published “Depletion – A Determination of the Worlds Petroleum Reserve”. It is meticulously researched and re-worked with trends double checked against published data. It follows on from the Hills Group 2013 work that accurately predicted the approaching oil price collapse after 2014 (which no-one else did) and calculated that the average oil price of 2016 would be ~$50/bbl. 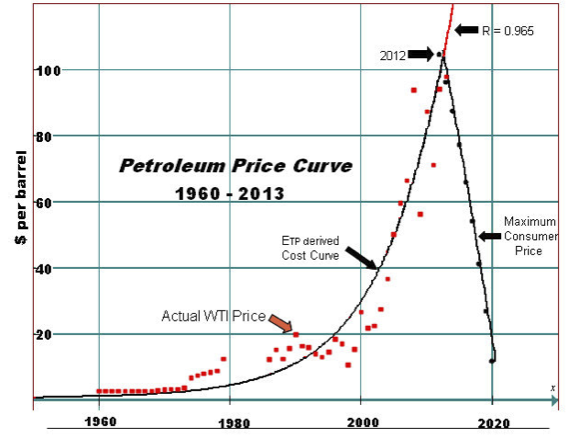 They claim theirs is the most accurate oil price indicator ever produced, with >96% accuracy with published past data. The Hills Group work has somewhat clarified my understanding of the core issues and I will try to summarise two crucial points as follows. Oil can only be useful as an energy source if the energy contained in the product (ie transport fuel) is greater than the energy required to extract, refine and deliver the fuel to the end user. If you electrolyse water, the hydrogen gas produced (when mixed with air and ignited), will explode with a bang (be careful doing this at home!). The hydrogen contained in the world’s water is an enormous potential energy source and contains infinitely more energy (as hydrogen) than humans could ever need. The problem is that it takes far more energy to produce a given amount of hydrogen from water than is available by combusting it. Oil is rapidly going the same way. Only a small proportion of what remains of conventional oil resources can provide an energy surplus for use as a fuel. All the other types of oil require more energy to produce and deliver as fuel to the end user (taking into account the whole oil production chain), than is contained in the fuel itself. At this point – no matter how much oil is left (a lot) and in whatever form (many), oil will be of no use as an energy source for transport fuels, since it will on average require more energy to extract, refine and deliver to the end-user, than the oil itself contains. Because oil reserves are of decreasing quality and oil is getting more difficult and expensive to produce and transform into transport fuels; the amount of energy required by the whole oil production chain (the global oil industry) is rapidly increasing; leaving less and less left over for the rest of the economy. 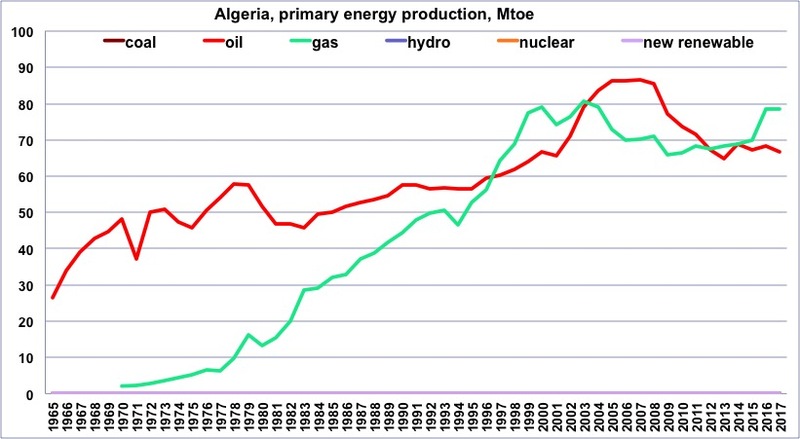 In this context and relative to the IEA graph shown earlier, there is a big difference between annual gross oil production, and the amount of energy left in the product available for work as fuel. Whilst total global oil (all liquids) production currently appears to be still growing slowly, the energy required by the global oil industry is growing faster, and the net energy available for work by the end user is decreasing rapidly. This is illustrated by the following figure (Louis Arnoux 2016). The price of oil cannot exceed the value of the economic activity generated from the amount of energy available to end-users per barrel. The rapid decline in oil-energy available to the economy is one of the key reasons for the equally rapid rise in global debt. The global industrial world economy depends on oil as its prime energy source. 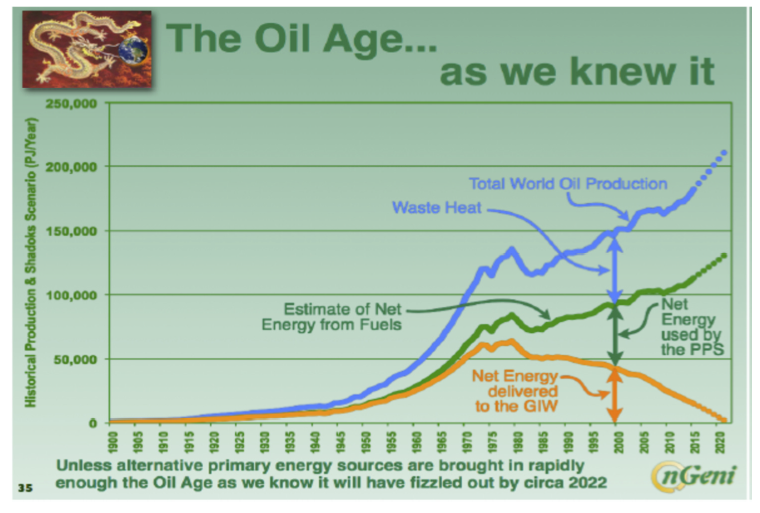 Increasing growth of the world economy during the oil age has been exactly matched by oil production and use, but as Louis’ image shows, over the last forty years the amount of net energy delivered by the oil industry to the economy has been decreasing. 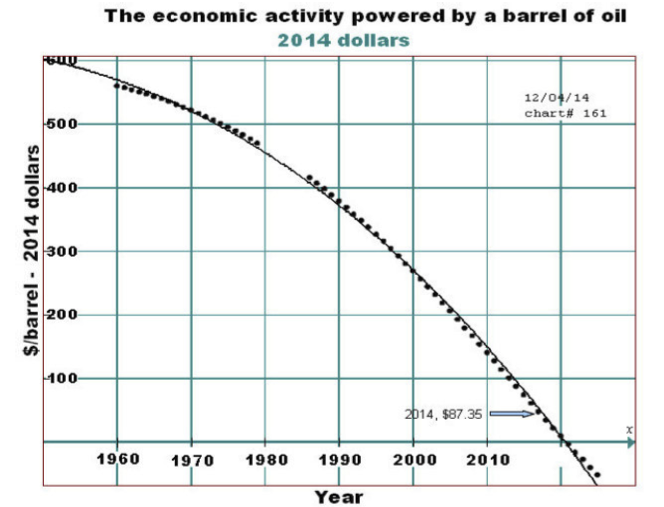 As a result, the economic value of a barrel of oil is falling fast. “In 1975 one dollar could have bought, on average, 42,348 BTU; by 2010 a dollar would only have bought 6,946 BTU” (The Hills Group 2015). This has caused a parallel reduction in real economic activity. I say “real” because today the financial world accounts for about 40% of global GDP, and I would like to remind economists and bankers that you cannot eat 0000’s on a computer screen, or use them to put food on the table, heat your house, or make something useful. GDP as an indicator of the global economy is an illusion. If you deduct financial services and account for debt, the real world economy is contracting fast. 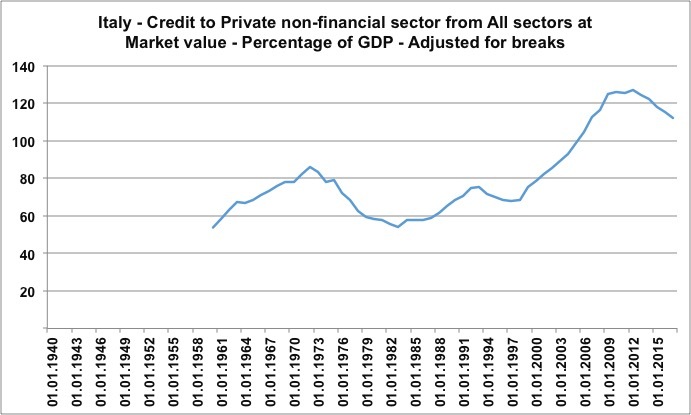 To compensate, and continue the fallacy of endless economic growth, we have simply borrowed and borrowed, and borrowed. 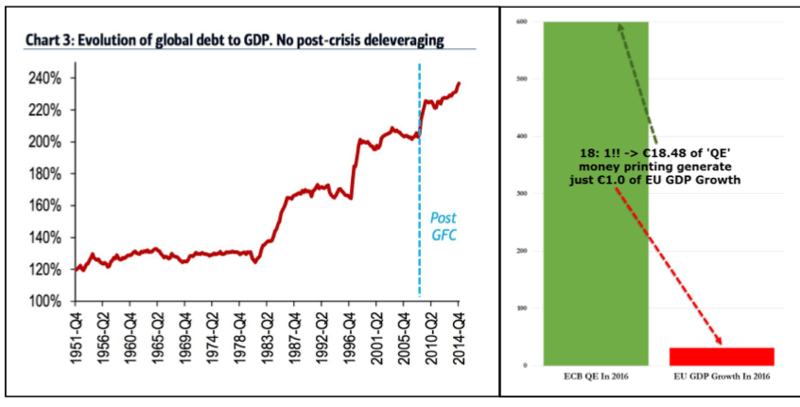 Huge amounts of additional debt are now required to sustain the “Growth Illusion”. In 2012 the decreasing ability of oil to power the economy intersected with the increasing cost of oil production at a point The Hills Group refers to as the maximum affordable consumer price (just over $100/bbl) and they calculated that the price of oil must fall soon afterwards. In 2014 much to everyone’s surprise (IEA, EIA, World Bank, Wall St Oil futures etc) the price of oil fell to where it is now. This is clearly illustrated by The Hills Group’s petroleum price curve of 2013 which correctly calculated that the 2016 average price of oil would be ~$50/bbl (Depletion – The Fate of the Oil Age 2013). “To determine the affordability range it is first observed that the price of a unit of petroleum cannot exceed the value of the economic activity (generated by the net energy) it supplies to the end consumer. (Since 2012) more of the energy from petroleum was being committed to the production of petroleum than was delivered to the consumer. This precipitated the 2014 price decline that reduced prices by 50%. The energy delivered to the end consumer will continue to decline and the end consumer maximum affordability will decline with it. Dr Louis Arnoux explains this as follows: “In 1900 the Global Industrial World received 61% of the gross energy in a barrel of oil. In 2016 this is down to 7%. The global industrial world is being forced to contract because it is being starved of net energy from oil” (Louis Arnoux 2016). This is reflected in the slowing down of global economic growth and the huge increase in total global debt. 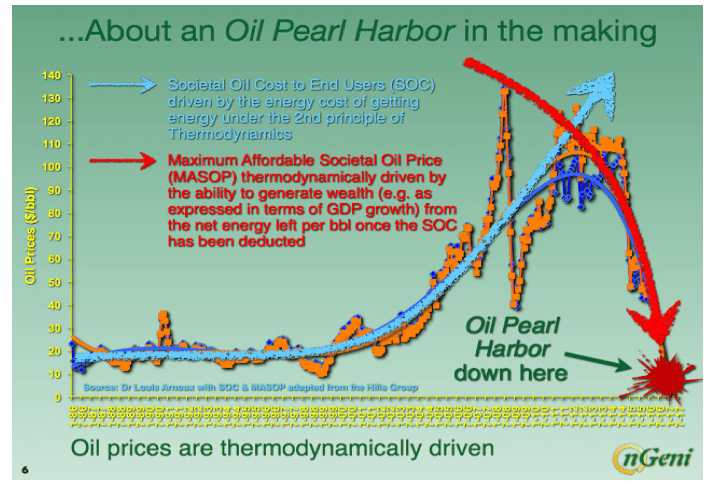 In the following image, Dr Arnoux has reworked Hills Group petroleum price curve showing the impending collapse of thermodynamically driven oil prices – and the end of the oil age as we know it. This analysis is more than amply reinforced by the dire financial straits of the global oil industry, and the parlous state of the global economy and financial system. Oil is a finite resource which is subject to the same physical laws as many other commodities. The debate about peak oil has been clouded by the fact that oil consists of many different kinds of hydrocarbons; each of which has its own extraction profile. 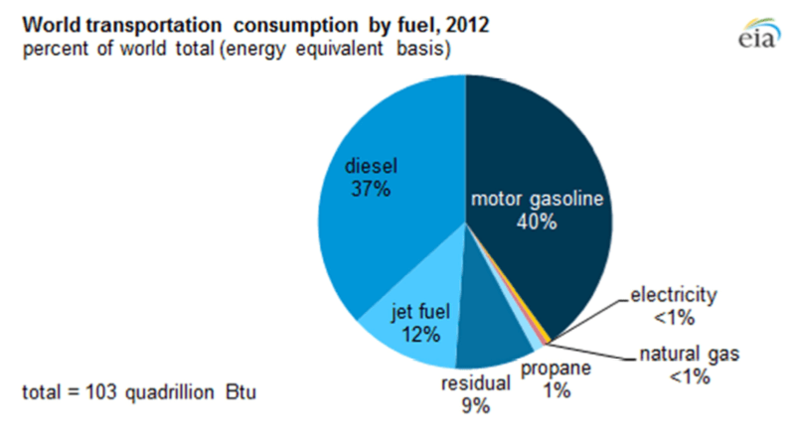 But conventional oil is the only category of oil that can be extracted with a whole production chain energy surplus. 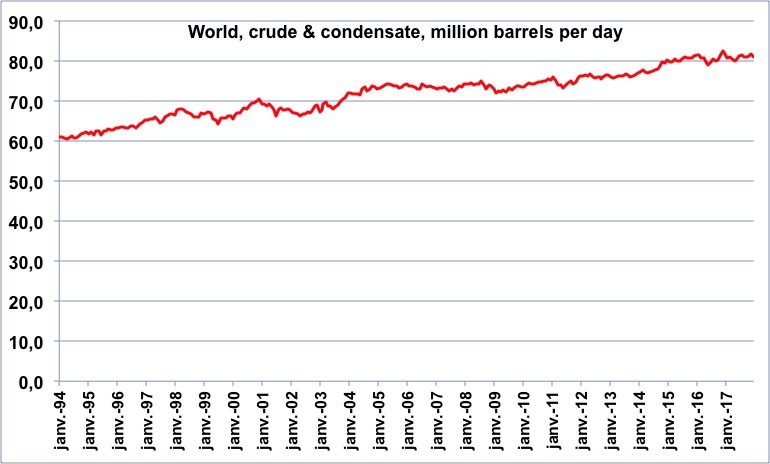 Production of this commodity (conventional oil) has undoubtedly peaked and is now declining. The amount of energy (and cost) required by the global oil industry to produce and deliver much of the remainder of conventional reserves and the many alternative categories of oil to the consumer, is rapidly increasing; and we are equally rapidly heading toward the day when we have used up those reserves of oil which will deliver an energy surplus (taking into account the whole production chain from extraction to delivery of the end product as fuel to the consumer). The Global Oil Industry is one of the most advanced and efficient in the world and further efficiency gains will be minor compared to the scale of the problem, which is essentially one of oil depletion thermodynamics. Humans are very good at propping up the unsustainable and this often results in a fast and unexpected collapse (eg Joseph Tainter: The collapse of complex societies). An example of this is the Seneca Curve/Cliff which appears to me to be an often-repeated defining trait of humanity. Our oil/financial system is a perfect illustration. Because oil is the primary energy resource upon which all other energy sources depend, it is almost certain that a contraction in oil production would be reflected in a parallel reduction in other energy systems; as illustrated rather dramatically in this image by Gail Tverberg (the timing is slightly premature – but probably not by much). Fundamental to all energy and economic systems is money. Debt is being used to prop up a contracting oil energy system, and the scale of money created as debt over the last few decades to compensate is truly phenomenal; amounting to hundreds of trillions (excluding “extra-terrestrial” amounts of “financials”), rising exponentially faster. This amount of debt, can never ever be repaid. The on-going contraction of the oil/energy system will exacerbate this trend until the financial system collapses. There is nothing anyone can do about it no matter how much money is printed, NIRP, ZIRP you name it – all the indicators are flashing red. The panacea of indefinite money printing will soon hit the thermodynamic energy wall of reality. The effects we currently observe such as exponential growth in debt (US Debt alone almost doubled from $10 trillion to nearly $20 trillion during Obama’s tenure), and the financial problems of oil majors and oil producing countries, are clear indicators of the imminent contraction in existing global energy and financial systems. The coming failure of the global economic system will be a systemic failure. I say “systemic” because for the last 150 years up till now there has always been cheap and abundant oil to power recovery from previous busts. This era is over. Cheap and abundant oil will not be available for recovery from the next crunch, and the world will need to adopt a completely different economic and financial model. Economists would have us believe it’s just another turn of the credit cycle. This dismal non-science is in the main the lapdog of the establishment, the global financial and corporate interests. They have engineered the “science” to support the myth of perpetual growth to suit the needs of their pay-masters, the financial institutions, corporations and governments (who pay their salaries, fund the universities and research, etc). They have steadfastly ignored all ecological and resource issues and trends and warnings such as LTG, and portrayed themselves as the pre-eminent arbiters of human enterprise. By vehemently supporting the status quo, they of all groups, I hold primarily responsible for the appalling situation the planet faces; the destruction of the natural world, and many other threats to the global environment and its ability to sustain civilisation as we know it. I have news for the “Economics Profession”. The perpetual growth fantasy financial system based on unlimited cheap energy is now coming to an end. From the planet’s point of view – it simply couldn’t be soon enough. This will mark the end of what I call the “Oilocene”. Human activities are having such an effect on the planet that the present age has been classified by geologists as a new geological era “The Anthropocene”. But although humans had already made a significant impact on natural systems, the Anthropocene has largely been defined by the relatively recent discovery and use of liquid fossil energy reserves amounting to millions of years of stored solar energy. Unlimited cheap oil has fuelled exponential growth in human systems to the point that many of these are now greater than natural planetary ones. 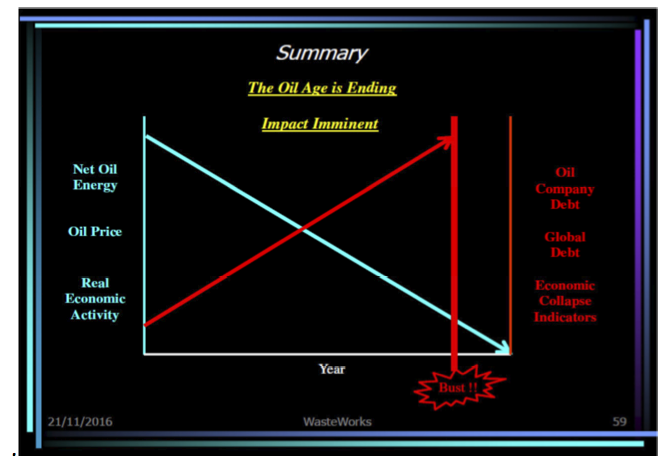 This cannot be sustained without huge amounts of cheap net oil energy, so we are inescapably headed for “the great deceleration”. The situation is very like the fate of the Titanic which I have outlined in my presentation. Of the few who had the courage to face the economic wind of perpetual growth, I salute the authors of LTG and the memory of Richard Douthwaite (The Growth Illusion 1992), and all at FEASTA who are working hard to warn a deaf Ireland of what is to come and why – and have very sensibly been preparing for it! We will all need a lot of courage and resilience to face what is coming down the line. Ireland has a very short time available to prepare for hard times. There are many things we could do here to soften the impact if the problem was understood for what it is. FEASTA publications such as the Before The Wells Run Dry and Fleeing Vesuvius; and David Korowicz’s works such as The Tipping Point and of course, The Hills Group 2015 publicationDepletion – a determination of the worlds petroleum reserve , and very many other references, provide background material and should be required urgent reading for all policy makers. The pre-eminent challenge is energy for transport and agriculture. 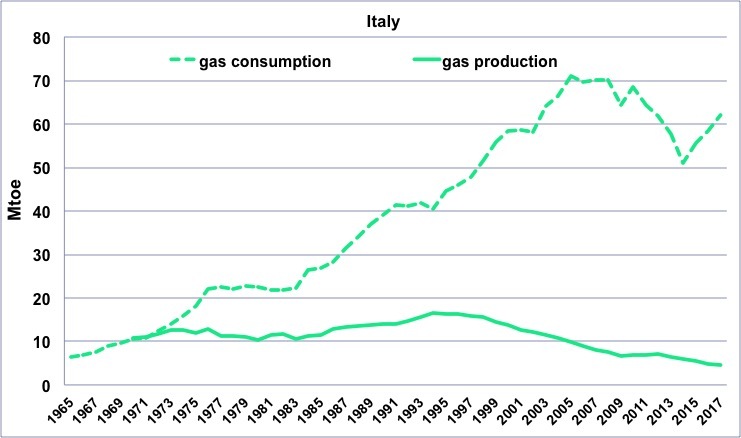 We could switch to use of compressed natural gas (CNG) as the urgent default transport/motive fuel in the short term since petrol and diesel engines can be converted to dual-fuel use with CNG; supplemented rapidly by biogas (since we are lucky enough to have plenty of agricultural land and water compared to many countries). We could urgently switch to an organic high labour input agriculture concentrating on local self-sufficiency eliminating chemical inputs such as fertilisers pesticides and herbicides (as Cuba did after the fall of the Soviet Union). We could outlaw the use of oil for heating and switch to biomass. We could penalise high electricity use and aim to massively cut consumption so that electricity can be supplied by completely renewable means – preserving our natural gas for transport fuel and the rapid transition from oil. The Grid could be urgently reconfigured to enable 100% use of renewable electricity within a few years. We could concentrate on local production of food, goods and services to reduce transport needs. These measures would create a lot of jobs and improve the balance of payments. They have already been proposed in one form or another by FEASTA over the last 15 years. Ireland has made a start, but it is insignificant compared to the scale and timescale of the challenge ahead as illustrated by the next image (SEAI: Energy in Ireland – Key Statistics 2015). We urgently need to shrink the oil portion to a small fraction of current use. 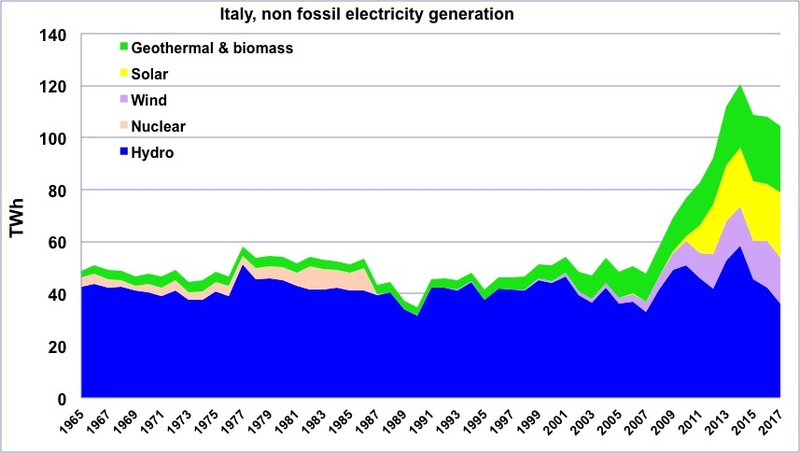 Current fossil energy use is very wasteful. By reducing waste and increasing efficiency we can use less. For instance, a large amount of the energy used as transport fuels and for electricity generation is lost to atmosphere as waste heat. New technological solutions include a global initiative to mount an affordable emergency response called nGeni that is solely based on well-known and proven technology components, integrated in a novel way, with a business and financial model enabling it to tap into over €5 trillion/year of funds currently wasted globally as waste heat. This has potential for Ireland, and will be outlined in a subsequent post. To finance all the changes we need to implement, quickly (and hopefully before the full impact of the oil/financial catastrophe really kicks in), we could for instance create something like a massive multibillion “National Sustainability and Renewable Energy Bond”. Virtually all renewables provide a better (often substantially better) return on investment compared to bank savings, government bonds, etc; especially in the age of zero and negative interest rate policies ZIRP, NIRP etc. We may need to think about managing this during a contraction in the economy and financial system which could occur at any time. We certainly could do with a new clever breed of “Ecological Economists” to plan for the end of the old system and its replacement by a sustainable new one. There is no shortage of ideas. The disappearance of trillions of fake money and the shrinking of national and local tax income which currently funds the existing system and its social programmes will be a huge challenge to social stability in Ireland and all over the world. It’s now “Emergency Red Alert”. If we delay, we won’t have the energy or the money to implement even a portion of what is required. We need to drag our politicians and policy makers kicking and screaming to the table, to make them understand the dire nature of the predicament and challenge them to open their eyes to the increasingly obvious, and to take action. We can thank The Hills Group for elucidating so clearly the root causes of the problem, but the indicators of systemic collapse have for many years been frantically jumping up and down, waving at us and shouting LOOK AT ME! Meanwhile the majority of blinkered clueless economists that advise business and government and who plan our future, look the other way. 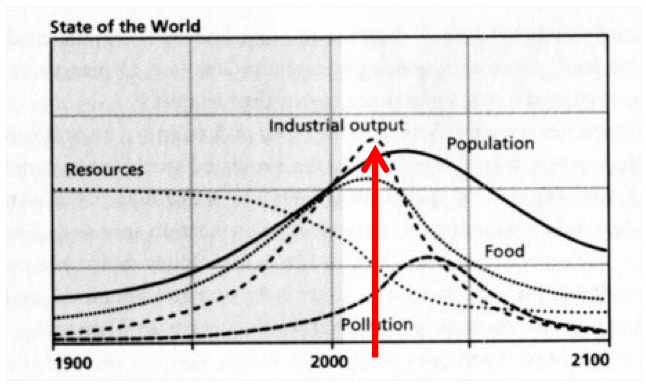 In 1972 “The Limits to Growth” warned of the consequences of growing reliance on the finite resource called “oil” and of the suicidal economics mantra of endless growth. The challenge Ireland will soon face is managing a fast economic and energy contraction and implementing sustainability on a massive scale whilst maintaining social cohesion. Whatever the outcome (managed or chaotic contraction), we will soon all have to live with a lot less energy and physical resources. That in itself might not necessarily be such a bad thing provided the burden is shared. “Modern citizens today use more energy and physical resources in a month than our great-grandparents used during their whole lifetime” (John Thackera; “From Oil Age to Soil Age”, Doors to Perception; Dec 2016). Were they less happy than us? 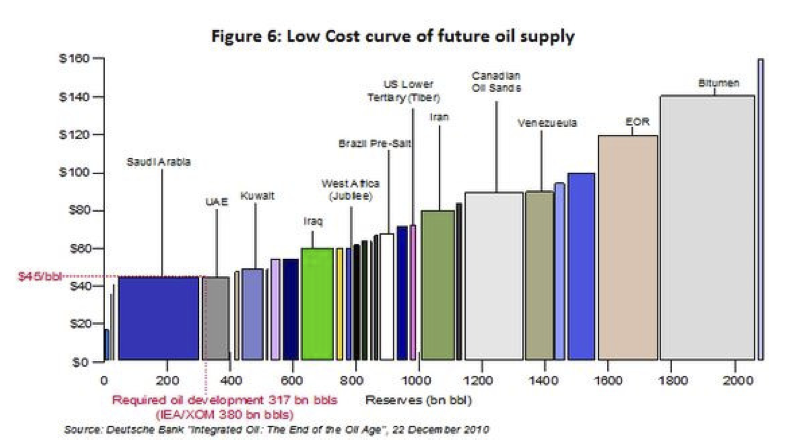 Will the “economic price” limit oil production? Peak Oil: The End of Economic Growth?